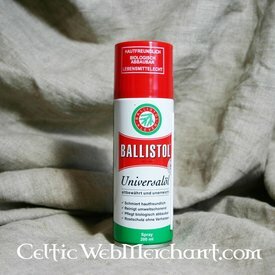 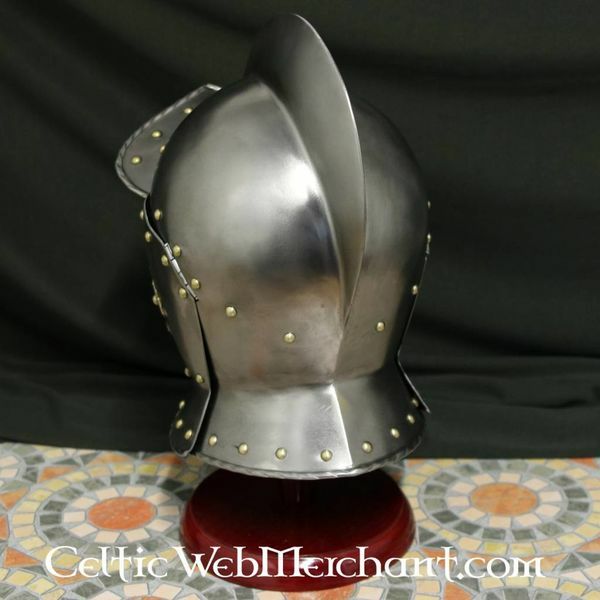 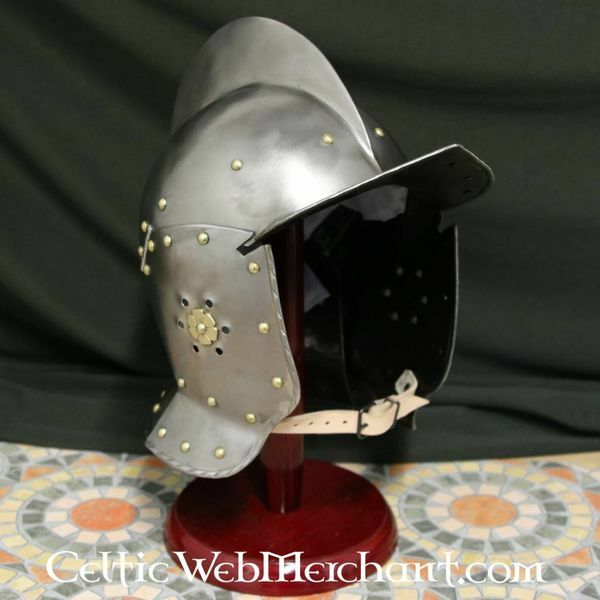 This burgonet is a replica of a British original that was worn during the British Civil War by the English cuirassiers. 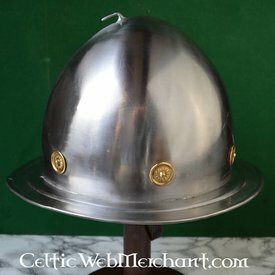 Helmets like this occurred in whole Europe and were especially popular among the late 16th and early 17th heavy cavalry. The original is nowadays part of the Royal Armouries in Leeds. 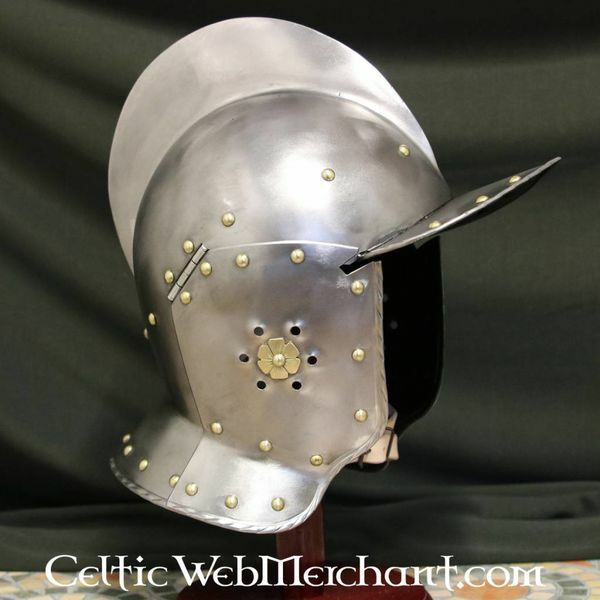 This burgonet has cheek flaps and a neck protection that are closed on one part. 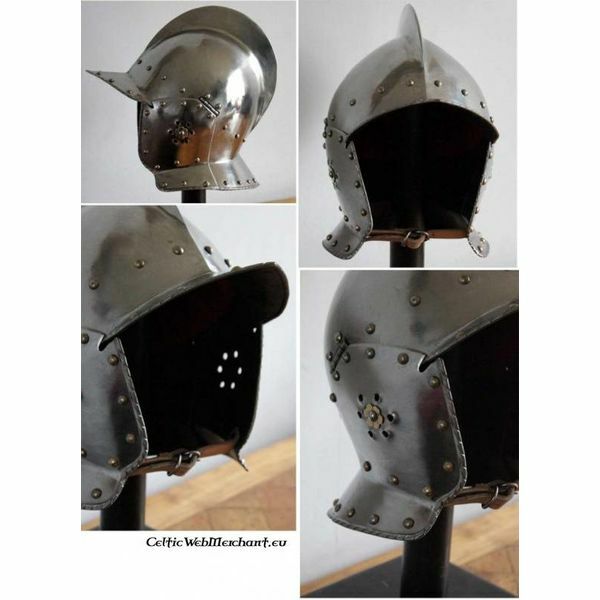 It has extra holes at the ears so that the hearing is minimally hindered and it has an edge that sticks out for protection against blows from the face. 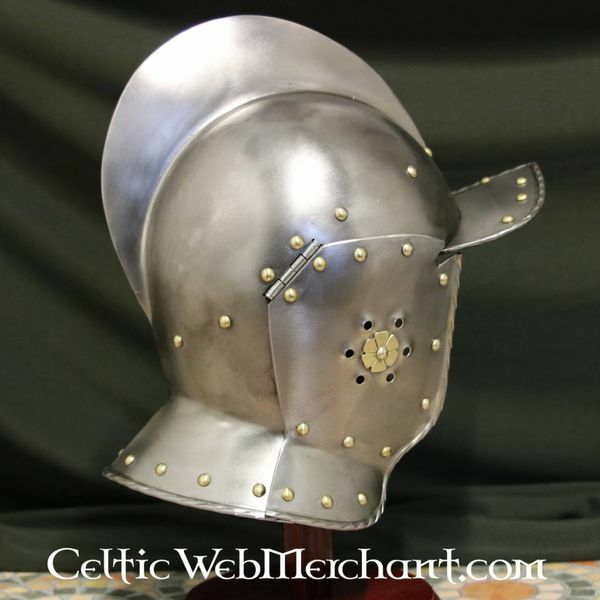 It has a peak, a trend that originated from classicism. 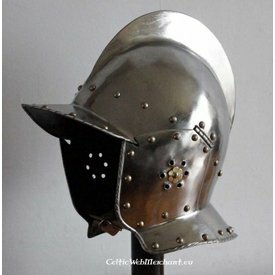 The helmet can be fastened under the chin with a strap.